Brakes are complex hydraulic systems composed of intricate parts. Whether your car has disc brakes or drum brakes parts, you want an experienced automotive mechanic servicing your vehicle. NAPA Auto Parts has partnered up with Tega Cay Wash & Lube (NAPA AutoCare Center) and has ASE-certified technicians. Our Auto Care Service brake mechanics service most vehicles. When you’re looking for a brake service or brake parts from NAPA, Tega Cay Wash & Lube (NAPA AutoCare Center) can deliver. We’ve been taking care of local cars since 1979. 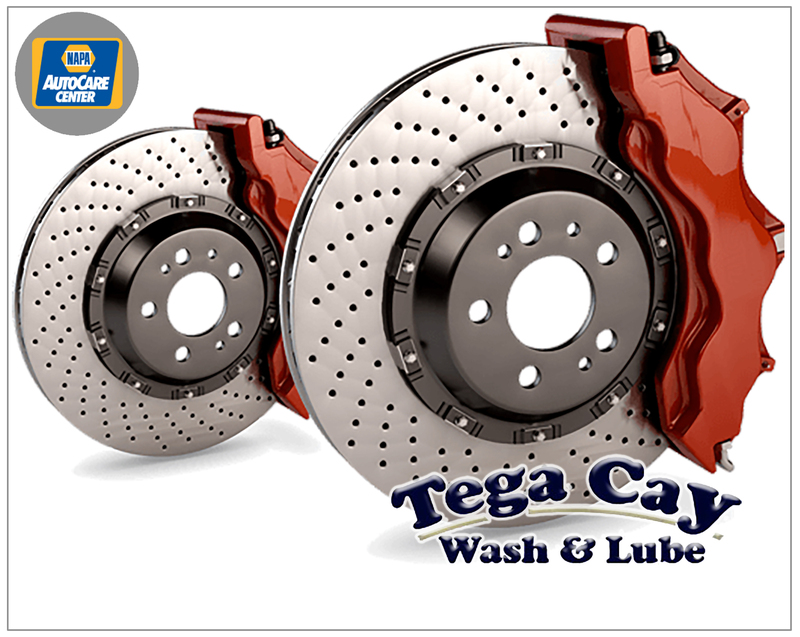 Visit your neighborhood Tega Cay Wash & Lube (NAPA Auto Care Center) today, where brake checks are free. You may ask yourself how often should you change your brakes, there is no need to search brake service places near me, around me, close to me or nearby me any longer. We are located near South Charlotte, Ballantyne, Indian land, Fort Mill, Lake Wylie, Rock Hill, Lancaster and Steel Creek areas. Our certified auto mechanics and technicians will educate you on your brakes and how they work.